Is your well-developed website gives a picture-perfect vision but still not ranking in the search engine? No doubt, website with eye catchy pictures attract the viewer’s but this comes secondary. The first thing which matters is your website ranking in search engine. This can be possible by utilizing the best SEO tools. Accordingly, when you are launching your website always make a Search engine optimization (SEO) strategy. Before we go deep into SEO first we explain what is a Search engine? The search engine is a service which allows all internet user to search for any content, query, and product throughout the world wide web. When the users search something on the search engine the words used by him/her to search are known as keywords or key phrases. Then the search engines show the content in the form of websites, images, videos or other online data. The result shown by the search engine for any keyword is known as the search engine results page(SERP). The definition of a search engine clearly states that the user’s search keywords are the efforts to get information about a topic. The user will search for a website by its name when the website is popular and well known. So, the chances to get ranked in the search engine by the website name is difficult and time taking also. Now, it’s obvious that you need to optimize your website by improving organic search to get ranked in SERP. The search engine optimization of a website needs different tools and strategy. As most of the site is created by using WordPress. So, first, we discuss the WordPress SEO tips. SEO tips for WordPress Website. Yoast SEO is probably one of the easiest to use plugins out there and it is worth a good number of WordPress sites using Yoast and often the very first plugin installed due to its incredible SEO benefits. Yoast will help you to control and manage the title and meta descriptions of your content, which is basically WordPress installation. In addition, Yoast provides open graph information so images shared through social media will be automatically displayed. Another advantage, Yoast offers the ability to create an XML sitemap websites, provided they have solid navigation, typically a sitemap is not required. However, it is said that you have been given a site which is not the best information, architecture sitemap will be useful in this case search engine crawlers need to give a better understanding of the structure of your website. To get an idea about Yoast SEO plugin read our blog How to Optimize Yoast SEO Plugin in WordPress?. To explore more SEO plugin read our blog Top 8 WordPress Plugin for SEO. While you selecting a theme, it’s important to conclude which features are required and which is not. The WordPress Feature Filter makes it super easy to customize your research for free themes based on particular features you need, like being translation ready and allowing for a flexible header. It’s essential to have the picture in mind before picking a theme. You should be clear about the site to have one column or multiple columns. The Specialty of WordPress themes that serves you more than you expected. Creating from the bottom, the theme you select should only have the features that will aid you to achieve the goal of your site. You never want a theme which has disorganized features. A theme rich with unusual feature might look good, but it can seriously affect the site performance. Be sure to limit yourself against installing every feature you think is cool. While music players or gaming abilities might be attractive, but they detract from site performance. Other than this, the website developers often use the code they found on the internet for additional features, cause security weak spots because it’s not focused on keeping a site secure, but performing a specific function. Responsive design simply suggests creating your site responsive to multiple devices. Means make your site compatible with mobile and make sure to add menus and other widgets that are easy to navigate the user for other pages, direction etc. Add features like a fluid site grid and adjustable images that easily fix to screen of non-desktop devices. In other words, a responsive theme would be one that can efficiently translate on a mobile device without any error. As of now, most of the internet users are mobile users. If you select a theme which is responsive for desktop only then you will lose quality users. The Online market is all based on visual appearance. So, the color scheme for a website should be like that which don’t heart the eyes by giving an unpleasant visualization. If you have a logo, try to sync your website color with that. WordPress makes it easy to modify the appearance, including colors, of a theme by customizing directly into the file or entering in custom CSS. Always select light color because it’s statistically shown that site visitors prefer lighter colored sites. A dark website decrease readability and the Chances for more conventional design elements. Free themes are enough for those on a budget, they can present some issues. Apart from the quality of coding potentially not being up to mark. By working with a free theme, you take the chance of it not being updated regularly. Premium themes are active, typically gives more features than free themes, which makes you look different from others. The font of your website also contributes to attracting your visitor’s attention quickly so they won’t be left your site. So, make your fonts simple, sophisticated, and readable. You can adjust the font via using CSS. Some of the themes give limited customization. 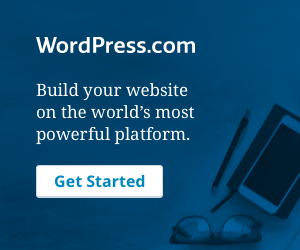 You can install the WordPress Theme easily. Select the prefabricated topics is easy for beginners. Investing in one of the bottom sides is the last resort to guarantee your site, which is perfectly suited for SEO. Because of being there, all the theme creators out there are trying to make a topic as attractive as possible for as many people as possible. The topics they make are full of features and include the code that is not necessary and can deny the display of the site. At the top of it, theme-makers, when they are trying to appear in the famous SEO standards, are not “SEO” in terms of job function. They are very talented web designers with the capability of coding. Many people can become familiar with Bootstrap, with another nice arguably solution to create a theme from below with the Zurb Foundation. The Zurb Foundation is maintained and updated entirely, as well as free and completely open-source. You can create a fully responsive front-end framework through it. The WordPress Starter theme created by FoundationPress Zurb is up to date. It works as a bare-bones theme, which already uses this framework that is put together. Here we will list the most important coding tips for collecting our own topic. Many tips revolve around speed and structured data because it’s just incredibly important. The first thing is that when you start coding a subject, it is to make sure that you are using semantic HTML. The semantic HTML is quite new standards which have come out with HTML5. Semantic communicates to search engines what it is your content needs. For example, if you are going to navigate your site, you will be given the <nav> element around the code that is. If you have a site that does not need to do anything with the content of your site, then you will have the <aside> elements around that particular code. Here is a code example that looks like this. Everything inside of <Nav> is site navigation. Below that, we have a different and inside me, the <aside> is my advertisement information. All of these things convey a context to a search bot. Because a search bot has to make a lot of guesses. All people code differently. Search engines are pretty smart but don’t rely on search engines to interpret what your page is about. Instead, be very explicit regarding what your page is about. Keeping the speed in mind, Google has suggested a new way of working In the beginning, web design included inline CSS. In other words, you will have a special element in your HTML and you will go ahead and apply that element right there. Then, everyone got better practices and started putting them into CSS files. So you have something like main.css and you will link to it with the head of your document. We are, in a way, besides returning to the old style, we are doing it with better practices. This is the CSS taken by the doc file and by putting it directly on the HTML page. What makes an additional call when a browser is trying to fetch a page. Always check your code for search engine spider accessibility. You can use coding to create SEF URL rewrites. Your code must be clear to facilitate site speed improvements. Assist text-based alternative to on-page scripts. Introduced “noindex” tags on your robots.txt file. Apply “rel=canonical” to deal with duplicate content problems. fixed 301 redirects to ensure proper PageRank flow. Apply microdata to generate rich snippets. Connect script files to accelerate loading times. Utilize CDNs to minimize required launch resources. After this problem, you can use the header-footer plugin. It’s a solid plugin that’s been around for a while; It’s free and highly recommended. If you are running the Yoast SEO plugin (hopefully you are), as soon as you activate the header-footer plugin, then the Yost will warn you just ignore it. Unless you use it to insert code into the header and footer of your pages, it does not mess up or what the override plugin does. Assuming that you are following SEO in the last few years, you have heard about some things called schema.org. Google decided that they would come with their own vocabulary and they called it schema.org. The first semantics are referred to as HTML elements, it allows you to tell a search engine that it is a company, article, blog entry, or breadcrumb navigation for this page. There is no chance for wrong communication in the search bot. Because you are clear with them. Structured data can be of great benefit, it can do anything by increasing your search results, which is what we call rich snippets. The basic way to implement it was to use something called microdata. Frankly, this was confusing. Fortunately, within the last year or two, we have created a new way of implementing this named JSON-LD. The above example shows what the JSON-LD structure looks like. This is something else you have probably heard if you are familiar with the world of SEO. AMP stands for Accelerated Mobile Pages. It’s Google’s attempt to make the Web faster on mobile devices and deliver a better user experience. It basically compels us as bloggers and publishers. So that all things get remove from the advertisement (ads and other things) that slow down one page as it gets rendered. Here is an example of AMP, in action, on the right is a general blog post, through AMP, it gets rid of everything and gives you the necessary information. This is an example of how this is doing on a Google phone. If you are on your phone and you search for some related news, then you are going to watch the AMP icon (red arrows). If you click on it, then you are going to that AMP version. Image optimization is one of the biggest optimization opportunities, people who are missing from their site. Specifically, when it comes to mobile we used to broadband or flood our blog posts with large images for desktop browsers. However, as we know, our traffic has come more and more from mobile. So, if you have large images that are taking it for the longest time. These are things Google decides where your site is rank in its results. When creating a new post on WordPress, the first thing to do is compress the image before uploading it. ImageOptim is a free app for Macs with plenty of Windows equivalents. There is an easier way to compress images. The EWWW Image Optimizer will automatically optimize and compress every image you upload. This is a new HTML standard which is best for speeding up images. It’s another to get it to a size that is truly optimized for mobile, the way to fix that is to use SRCSET. SRCSET is this new standard element that goes with image tags. It lets you specify other images for a particular screen size and resolution For e.g. If someone was accessing my post on a phone and it was 306px wide, it would pull from the right side. Media is an essential part of any website. Though, they can either totally ruin or enhance your SEO efforts. Proper tag and name of all your media files will determine your SEO. This will also help you to rank higher in image searches. Google gives the best SEO tools to reduce the inevitable issues. First of all, make sure that you’ve added your site to the Google Search Console. Google has worked very hard to keep this update. It will tell you what errors you have so that you can address them relatively easily. Google Analytics is a popular and free analytic tool of Google. It helps you to track your website traffic and a complete assessment of your website traffic source, behavior, location, and various other important features that will help you to improvise the reach of your target audience. A site auditing tool will automatically monitor your weekly or monthly site. A site auditing too tells about them that are broken part of your website, especially if you are not the only one who reaches your site. The site auditor does the same thing which was just described. This is a great tool for site auditing to ensure that your SEO is working on the peak performance. Your site can contain hundreds of pages. In order to index your web pages by Google, you require telling Google your website structure. Creating a Google XML sitemap is very easy. WordPress offers a very useful plugin called Google XML Sitemaps that automatically obtains a sitemap of your website which will help search engines to index your site in a better way. As you know that Social Media has generated a large popularity over the past few years. Nowadays almost every web user is active on different social media networks such as Facebook, Twitter, LinkedIn, Google+ and much more. Making your content shareable lets your readers share it across various social networks while driving large traffic to your site. Adding social sharing buttons to your website not only drives traffic but also enhances your website’s credibility. Selection f SEO tools for you are critical or may be easy but the landscape of SEO tools and have become so broad with then you should try the latest inventions in SEO that will make you easy for promotions. Use of right tools that can make difference in successful campaigns is fantastic. Actually, if nobody created certain tools from experts then never get anything completed. It can be extremely hard to pick and then selection need in order to make sure can also getting right keyword and research performed. It has found one of the top management the links management can get huge insights into the website ranking and their performance for obtaining a great rank. Now links management is an exact tool for every one of us as allowing and explore the contented, find unique keywords, metrics, tracking performance with it. It is sole of the excellent optional SEO tricks online for us. On the other hand, it is only next to Google and then gets nearer to being the main website or blog crawlers and skilled cannot acquire adequate of Ahref’s site assessment characteristics with. Mainly of the time SEO experts can’t acquire sufficient and tool places of interest what pieces of site needed and must improve them quickly. Advertising an SEO utensil like SEMRush tends to survive buff and then favorites and SEO community and then skilled adore that can simply access and rankings for sake of revolutionizes and also for them like new rank facilities. It is one of the large amounts in style features for us and SEO tackle that is Domain against domain investigation permitting securely as competing for the whole site to the competitor on the internet. If are looking analytics and reporting support you superior understood and website explore, data, transfer or even the competitors are included. SEO totally depend upon keyword tactics and facilitates you to situate extensive tail keywords and having the lesser level of competitions and professionals SEO tool to uncover the greatest planning also and meta running with the analysis reports. It is also a way of securing backlinks or SERP absolutely. Ranking chaser tool helps and supports easily determine the ranking and while as trailing improvement based on one particular key metric. It is about enough capitalizing and supportive and ranks website even higher with. Actually SEO software Moz kept popping up like one of the best SEO tools and then the experts really use and some rant about how the Moz was preferably working. Other raved about their converse portals with and due to allowable those getting an astute reply to every question interrogated. No matters are looking for certain keywords recommendation are site crawl and is total services powerhouse and to find great imminent into how websites are performing. It can also boast a liberated MozBar toolbar to canister download for free to tolerate and to notice the stores metrics in it. If you are not expert in search engine optimization. So you can outsource the SEO services. Because it’s good to hire experts when you do not belong to that field. When we create a website we usually focus on CMS, content, themes, tools etc. Selection all these things is important but without SEO all this remain as it is. Our main effort is to customize our site in such a way that everything contributes to the search engine optimization. Through this article, We try to convey the tips that help you to rank your site in search engine. We hope that this blog helped you thoroughly. If you liked the information please share it with others also. Still, you have any question regarding WordPress SEO you can share it in the comment section. Get best and prompt help from our WordPress Website Maintenance team, Dial +1-844-275-0975 (Toll-Free). We will be glad to help you. 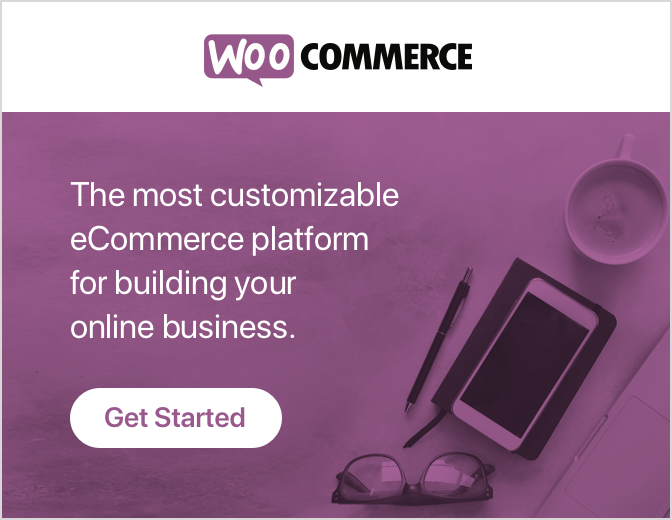 How to simply do SEO for WooCommerce Site.